Copley Retention Services is one of several companies that offers offers technology-based systems intended to keep students on track to graduate on time from college. It uses “a combination of over 20 data points to flag students who may be at risk of dropping out”. One in three college freshmen don’t return for their sophomore year. It’s a sombering statistic not just for students, but also for universities that miss out on tuition dollars. Student retention services appears to be a growing field. Forecasting student success is a hot business, and the industry has seen major consolidations this year. In February, Starfish Retention Solutions and GradesFirst have been acquired, respectively, by Hobsons and Education Advisory Board, two companies trying to move the needle on college completion rates. Earlier this week, Uversity was bought by TargetX, both of which provide data analytics to help colleges boost student recruitment and retention. Learning management systems like Desire2Learn also boast their own student success tools. This need is also increasingly felt at the K-12 level, with startups like LearnSprout building early warning systems that tap into student information systems for signs that can help elementary and high school students stay on track. Mark Cuban, owner of the NBA’s Dallas Mavericks, has partnered with other parties to invest $1.5 million in Copley. He explains how colleges benefit from retention services. Of course, students benefit also. But for many “at-risk kids”, all the tracking and remedial efforts may not be enough if they lack family support as well as the fundamental competencies that should have been taught in K-12. It remains to be seen if these retention services are able to make a dent in the college drop-out problem. However, if these services are funded by taxpayer dollars I don’t put much faith in how carefully their efficacy will be assessed. Tony Wan, “Copley Retention Systems Raises $1.5M From Mark Cuban, USA Funds to Boost Student Success”, edSurge, Jul 10, 2015. Tony Wan, “5 Questions With Mark Cuban on Higher Education and His Newest Edtech Investment”, edSurge, Jul 17, 2015. A noteworthy initiative by a major university has the potential to cut costs dramatically for a student’s freshman year of college. Arizona State University, one of the nation’s largest universities, is joining with edX, a nonprofit online venture founded by M.I.T. and Harvard, to offer an online freshman year that will be available worldwide with no admissions process and full university credit. In the new Global Freshman Academy, each credit will cost $200, but students will not have to pay until they pass the courses, which will be offered on the edX platform as MOOCs, or Massive Open Online Courses. Students can complete their freshman year for “less than $6,000”. The new program will offer 12 courses — eight make up a freshman year — created by Arizona State professors. It will take an unlimited number of students. Neither Mr. Agarwal nor Mr. Crow would predict how many might enroll this year. The only upfront cost will be $45 a course for an identity-verified certificate. Altogether, eight courses and a year of credit will cost less than $6,000. Two common questions about online courses are addressed by this new venture. Wednesday’s announcement, Agarwal said, is edX’s response to the two major points of criticism that have dogged MOOCs: that the completion rates are too low, and that the courses mostly benefit learners who have already earned advanced degrees. The expectation is that motivation for credit will spur completion rates, and freshman courses will not attract college graduates. How much human involvement will be required? … Freshman composition will probably be one of the last to launch. Right now, he said, the university is planning on having “actual people” grade however many thousands of student essays such a MOOC would produce. Other issues remain, including the problem that Freshman Academy does not qualify for federal financial aid. The outcome for this new venture remains to be seen. If it is successful, it could serve as a model for many other universities. Tamar Lewin, “Promising Full College Credit, Arizona State University Offers Online Freshman Program”, New York Times, April 22, 2015. Carl Straumsheim, “MOOCs for (a Year’s) Credit”, Inside Higher Ed, April 23, 2015. Law professor Paul F. Campos editorialized about “The Real Reason College Tuition Costs So Much”. Funding for higher education “has increased at a much faster rate than government spending in general”, but not enough to keep up with the “sharp rise in the percentage of Americans who go to college”. Administration costs have climbed at a faster rate than teaching costs, and a comment offers an explanation. … When you expand the college rosters, you inevitably have to taken lower quality students, which then necessitates more support services to make sure these students have a reasonable chance of graduating. That costs money both in the service itself, and in the management of the service…. Admitting students unprepared for college-level work not only drives up costs, but also leads to lower standards and wasteful credential inflation. Ultimately, remedial students who experience high drop-out rates “pay a heavy price, in both financial and opportunity costs”. While it’s controversial and probably politically unfeasible, limiting college enrollment to qualified students would be one way to help rein in soaring college costs. 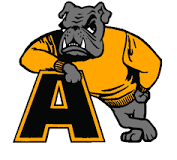 Adrian College in Michigan will guarantee jobs for all its graduates. … A new program guaranteeing every graduate would make more than $37,000, or get some or all student loans reimbursed. It costs the college $1,165 per student to pay for this guarantee. Adrian paid roughly $575,000 this year, or $1,165 per student, to take out policies on 495 students. For those who graduate and get a job that pays less than $20,000 a year, the college will make full monthly student loan payments until they make $37,000 a year. With a job that pays $20,000 to $37,000, the college makes payments on a sliding scale. There’s no time limit for the payment plan but the college caps total loan payments at $70,000 per student. Adrian’s annual cost of tuition, room and board is about $40,000 before any forms of financial aid. Let’s wait to see how this works out. I suspect very few graduates will be able to prove their inability to get a job paying at least $20,000 annually. Beyond that, the details could get murky. Some graduates will benefit by gaining greater flexibility in the types of jobs they accept, but the fact is that many college graduates are finding it difficult to find jobs paying at least $37,000. I wonder if one of the stipulations is graduation within four years. That could rule out many prospective beneficiaries. This guarantee does offer Adrian College good publicity now, but I will be interested to hear about the results of this scheme in four years. “Small college rolls out loan reimbursment program”, CNBC, Dec. 26, 2014. One way to lower the college dropout rate is by providing extensive remediation and financial aid to students who struggle to stay in college. Another way is by restricting admission and financial aid to students who are prepared to handle the course work. Richard Vedder thinks the second option makes more sense. College dropouts pay a heavy price, in both financial and opportunity costs. There are two fundamentally different approaches to dealing with the problem. One says “let’s remove some of the problems that afflict today’s dropouts.” In particular, let us remove some of the educational and economic barriers that might enhance dropping out. Let’s give more financial aid to the low income student, for example, or more and better remedial education. In other words, let us spend money trying to alleviate some causes of dropping out. The second approach is almost the opposite. Let us not accept into four year colleges students whose record suggest would have a very low probability of success. For example, students in, say, the bottom half of their high school graduating classes typically have a very low probability of graduating successfully in a reasonable time frame (four or five years) from college. Students with very low SAT (say a composite on the verbal and analytical sections of below 900) or ACT (say 18 or less) scores should not be admitted to four year schools. Indeed, it should be possible to devise a “probability of college success” index based on a combination of three factors: quality of the high school attended, high school rank, and scores on college admissions test. Those failing to meet the admissions thresholds should be allowed to attend community colleges or non-degree schools offering certificated vocational training and, if they succeed there, be allowed to proceed to four year schools. This approach should not only reduce the dropout rate, it should save a good deal of money, both for students and taxpayers. It should reduce student loan repayment problems a bit, and lower loan delinquency rates. Above all, a more restrictive admissions approach would in the long run reduce the mismatch between the availability of relatively high paying jobs and the numbers of college graduates seeking those jobs. We have too many college graduates, not too few. Vedder argues this solution is not “anti-minority”. The 1 DuPont Circle crowd (the higher education establishment’s lobbyists) would fight such a proposal tooth and nail. They would argue that it is anti-access, anti-minority. I would argue it would be a proposal for successful access and align student expectations more closely with potential outcomes. It would reduce enrollments and revenues for the colleges, forcing some needed creative destruction upon higher education. Richard Vedder, ‘The Dalit of American Higher Education: The Social “Untouchables”‘, Forbes, 10/16/2014. Extraneous luxuries help drive up the cost of college. Matthew LeBar of The Center for College Affordability and Productivity (CCAP) suggests that going à la carte would enable families to make wiser choices and curb rising costs. Colleges have become more than just a place of education. They are as much homes for their students as they are classrooms. As such, many colleges are competing to provide the most lavish amenities to attract students. Some services are generic and uncontroversial, but many are exorbitant and beyond reason. Although these extra amenities may not feel burdensome, they are not free. Student services are financed through student tuition and fees, driving up both. Some services are sensible, like basic room and board. But other perks like a jumbo Jacuzzi or a climbing wall are unnecessary and unused by many students, yet they add thousands of dollars to a college education. Give students choices to pay for what they can afford. Instead of forcing their students to pay for all sorts of extravagant amenities, colleges should give their students the option way to pay for what they want. If a student wants to pay for a gym membership or a climbing wall, there’s no reason that they shouldn’t be able to. Only the students who want and use a service should be charged for it. Although taking away Jumbo Jacuzzis also removes the university’s ability to teach student how to relax in style, there are always costs, and it seems doubtful it’s worth the $2,000 students are paying for it. The schools could still advertise that they offer these amenities, but emphasize that they personalize students’ choices while offering them the best value for their tuition dollars. This might exacerbate class divides that exist within some elite colleges, but no solution is perfect and many families would welcome such choices. Matthew LeBar, “‘Free’ Student Luxuries Contribute to the Rising Cost of College”, Forbes, 9/18/2014. Will today’s families regret that they “grossly overpaid” for college? 20 years from now, people who grossly overpaid for their bricks & mortar college experience and are still paying off their massive student loans, will feel like incredible chumps. Looking at families digging deep into their pockets to pay exorbitant college tuition, this same thought has crossed my mind. As college administrators ponder the rough road ahead, Stuart Butler of the Brookings Institution advises that it will take more than a few tweaks for some institutions to survive the coming years. … if today’s college leaders—even at the Ivies—believe they can merely tweak their business models to carry them into the future, then they are in for an even more unpleasant surprise. They should ponder the still recent experience of the music industry, film and television, booksellers, and news media. If they did, they would soon recognize that the higher education industry is encountering a multi-pronged and existential threat composed of successive waves of disruptive innovation. This disruption will force top-to-bottom changes in the very concept of higher education and its relationship with the broader economy. Butler sees a pattern affecting many industries, including higher education. 1. The underserved consumers are targeted first, “leaving the upstarts to occupy a sector of the market of little interest to industry leaders”. Online news aggregators looked to “young people with distinct tastes and only casual interest in the news”. …Early versions of online courses appealed to students who could not easily maintain a regular schedule, or who needed more time to understand material…. 2. The initial product is substandard. … The Apple I, introduced in 1976, hardly seemed a harbinger of doom to the managers of IBM’s mainframe monsters. So it is no surprise today to read college presidents denigrating MOOCs and the cheap, no-frills degrees being rolled out in Texas and Florida…. 3. Episodes of adaptation and refinement occur amid harsh criticism. … The clunky Apple I sold just a couple hundred units, but the elegant Macintosh, introduced twenty years later, ransacked the computing industry. That’s why the shortcomings of MOOCs today should be of little comfort to the higher education establishment…. 4. Unbundling is to be expected, as both hospitals and newspapers have discovered. As with hospitals and newspapers, bricks-and-mortar institutions of higher education are particularly vulnerable to unbundling. Universities are modular institutions, and lower-cost competitors can easily siphon off customers and revenue from individual modules. For instance, universities are partly a hotel and food service industry, and partly sports and entertainment centers. They have invested heavily in buildings and services that package these elements together at essentially one price. But this makes them vulnerable to competitors that find much less expensive ways to provide discrete modules like housing or even basic first-year classes—or that simply shed costly facilities like libraries or student centers, as online colleges have done. While credentials are highly valued, academic information is priced at nearly zero. Even the social part of college can be unbundled. But what about the social “college experience”? Well maybe that can be unbundled, too. Does undergraduate college have to last four years, or could the residential, networking, or sports elements occupy just part of the period of study at much less total cost? Britain’s Open University has for years brought students on campus for just a few weeks each year. It retains a similar model today using online classes instead of its original televised courses. Yet it is number three in the UK for student satisfaction, tied with Oxford. Moreover, for many young people today online networking provides the relationship of choice for professional purposes, not just for social life. For them, Facebook, LinkedIn, and texting can be a more efficient and even more personal way of building and maintaining future career contacts than paying for a dorm or hanging out at a college gym. How should universities respond? Brooks recommends that they need to “price discriminate” in a way that supports what they are selling. And “they will have to determine their true competitive advantage”. So some schools, Ivies and other elite institutions, will be able to maintain high prices for the exclusive campus experience they are selling. Other schools will drop their prices for the cut-rate learning experience they provide. How should families respond? Butler’s forecast is consistent with other predictions of sharper class distinctions and a ‘growing bifurcation between elite universities and “trade schools”‘. So families should be careful about paying premium prices today for what may be heavily discounted 20 years from now. Stuart Butler, “Tottering Ivory Towers”, The American Interest, August 11, 2014. Posted in cutting college costs -- ideas for colleges, distance learning, education reform, higher education bubble, online education, rising costs of college, trends | Comments Off on Will today’s families regret that they “grossly overpaid” for college? Purdue University president Mitch Daniels has been taking an aggressive stance in addressing high college costs, using “a combination of systemic cuts, organizational realignments and cash incentives”. Of course, it is not an easy undertaking. … criticism has come from both directions. Some think he is moving too fast, others not fast enough when it comes to cutting student costs. Daniels faces many of the same challenges experienced by most other university presidents. Mr. Daniels says he is consolidating administrative jobs where prudent and leaving jobs unfilled where the duplication of effort makes that possible. He has jettisoned 10 university cars, consolidated hundreds of thousands of feet of off-campus rental storage and introduced a higher-deductible health-care plan. He has also created two, half-million-dollar prizes for the first department that devises a three-year degree or a degree based on what a student already knows, not the number of hours he or she sits in a class. This summer, the school offered 200 more classes than last year in an effort to speed time to degree and generate more income for the school. According to Daniels, there are ‘lots of opportunities” to cut costs’. The problems are obvious and the ideas for solutions are plentiful, but can Purdue’s president lead the university to a successful implementation? Douglas Belkin, “At Purdue, a Case Study in Cost Cuts”, Wall Street Journal, July 25, 2014 . How is higher education like the travel business? Is higher education going the way of travel agents? This question arises from an Inside Higher Ed post by Joshua Kim, Dartmouth Director of Digital Learning Initiatives. The Web has put lots of travel agents out of business. The Web has made lots of things about traveling easier, and probably cheaper. But in displacing all those travel agents we may have lost something important. We may have traded convenience and costs for quality. The cautionary lesson for higher ed may be that we should always be weary of any technologies that replace people. We are a people driven business. A relationship drive enterprise. Relationships are things that technology does very poorly. My guess is that the travel agents that are still thriving are the specialists. The professionals that can combine their knowledge and experience with available technologies to create new opportunities to find and plan great trips. I see his point, although there are many areas where replacing people makes good sense. While personal relationships are still valued among the few travel agencies catering to elite travel, for most of us Google has replaced the human touch in planning trips. In some ways this parallels the path that higher education has taken. The most selective colleges offer the highest level of personalized attention, ushering students through a learning experience that rewards them with impressive credentials at the end of four years. Most other schools provide less, ranging from personalized attention with questionable learning at a high price to online learning that is a scaled-down version of a typical classroom setting. I believe that we will leverage technology to tackle challenges around costs, access,and quality. Most people probably agree with Kim that technology has the potential to improve higher education, as it has improved many other aspects of modern life. But it seems that technology is often viewed as a blanket solution to many problems, including the very serious issue of skyrocketing costs. In taking this approach, colleges are trading costs for a much diminished level of quality in higher education.